Your personal rule of life is a holistic description of the Spirit-empowered rhythms and relationships that create, redeem, sustain and transform the life God invites you to humbly fulfill for the glory of Christ our Lord. 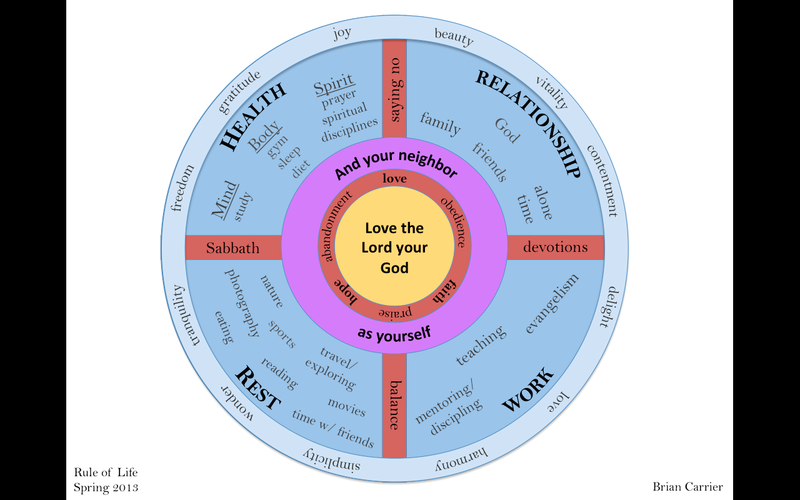 The five major categories are the following: spiritual, relational, physical, material, and missional. And these five categories shape the whole our our lives (how we spend our time, steward our resources, honor our bodies as temples, etc). 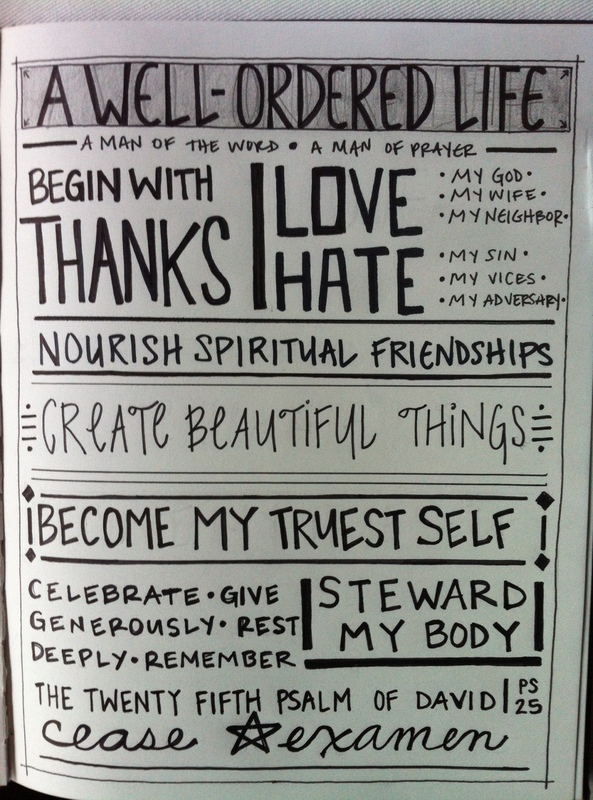 Feel free to download the PDFs (below) to begin crafting and creating your own rule of life. Use the downloadable PDFs as a place to collect all of your thoughts and don’t feel the need to fill in every space! 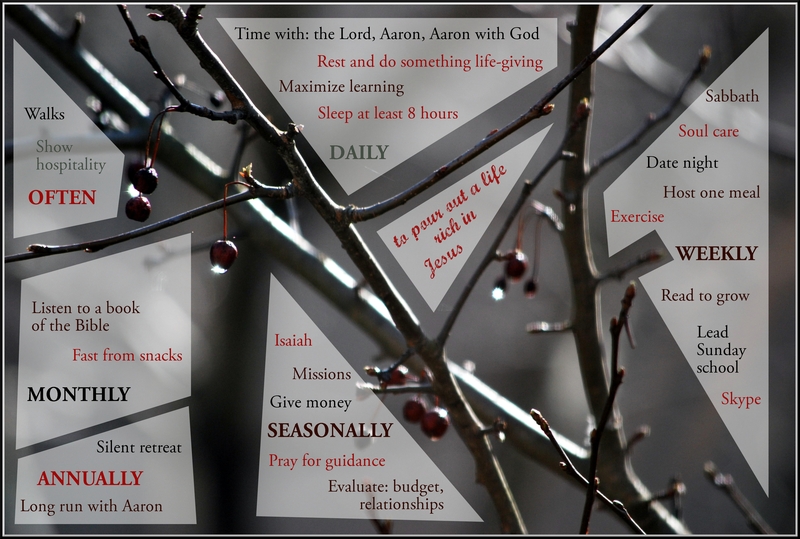 May this be a life-giving and enriching process for you! Here are several examples of personal rules that may be helpful as you seek to craft your own!